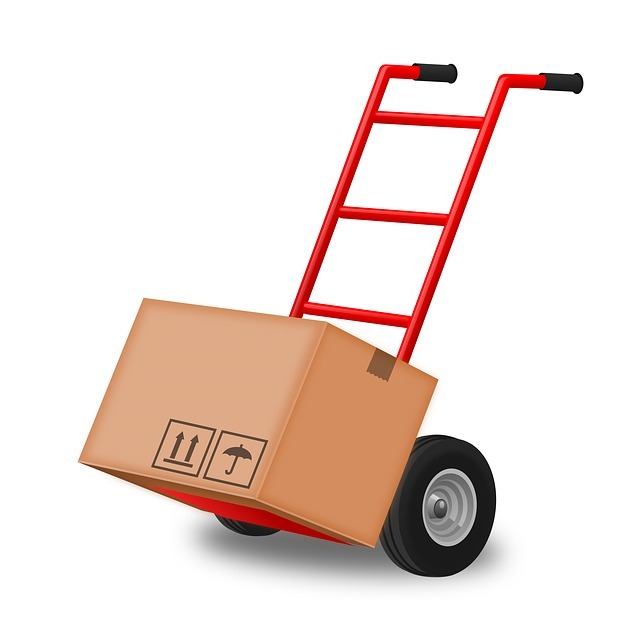 A&A Moving Company provides expertise in the area of packing and moving. We’re a top moving company Rancho Palos Verdes for corporations, small businesses, families and individuals. We’re ready to offer the dedicated customer service you’ll need to ensure your move goes off without a hitch. Before you contact any other Rancho Palos Verdes movers, please give us a call for a free moving quote at 800-349-5000. Almost no one enjoys the process of moving. 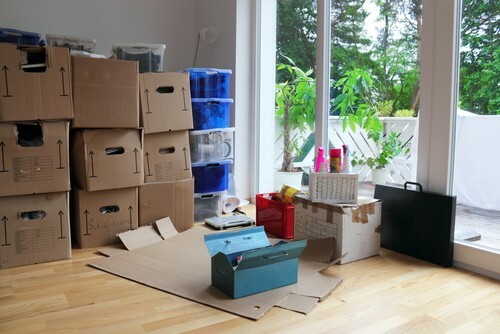 While it has positive aspects, like getting rid of things you don’t need anymore and reorganizing everything in your new home, it can certainly be quite stressful. Luckily, with a little expert help, your move can be a smooth experience. A&A Moving Company does more than simply haul your boxes between point A and point B. When you move with us, you’ll get your choice of packing materials and other supplies, helping you feel comfortable that your most cherished items will be properly protected. You’ll get help with your move from a team that genuinely cares about you and wants to welcome you to the area. 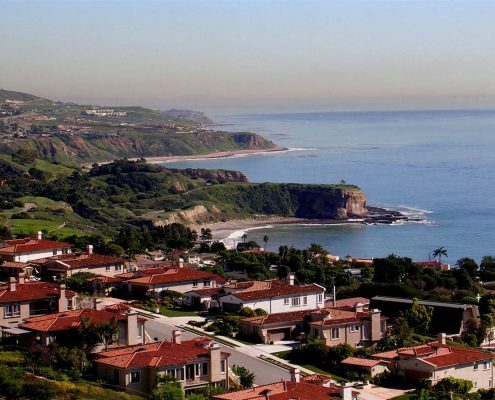 High atop the seaside bluffs that sit between San Pedro and Torrance, you’ll find Rancho Palos Verdes, one of the most beautiful areas in the county of Los Angeles. With a population of a little over 42,000 citizens, the area offers small-town energy with plenty of big-city elements nearby. After you get settled in your new home with the help of quality Rancho Palos Verdes movers, you’ll have plenty of exploring to do. The area has much to offer, from the beautiful Abalone Cove Shoreline Park to the always fascinating Dominator Shipwreck, the remains of which have been in the area since 1961. If you’re into ghost lore, you and your family will love exploring the infamous Point Vicente Lighthouse, which is said to be haunted but provides a nice photo opportunity if nothing else. Before you can begin having fun exploring your new location, you’ll need to get settled and unpacked at home. You likely have a few days of work ahead of you, but with the help of A&A Moving Company, the process will be much easier. Our team is dedicated to accomplishing the move while remaining organized, which will help you keep track of where your boxes are. Staying organized throughout the process can do wonders for ensuring the unpacking phase goes smoothly. Choosing a moving company Rancho Palos Verdes doesn’t have to be difficult. There are a few key aspects you should look for. If you choose the wrong moving company, you could end up even more stressed on moving day than you would’ve been on your own. Luckily, the compassionate team at A&A Moving Company is here to help. We make sure the job is done right, and we always stick around to help with the unloading and unpacking process. Some companies only move your items from point A to point B without ever considering how their actions impact your unpacking process. Not only will we make sure that every large item is placed in the room it belongs, but we’ll also contact you after the move to check that all your items were spared damage. Our careful packing process almost always avoids any chance of damage. A&A Moving Company also understands that there may be times in which you need to organize a move very quickly. This may mean calling a moving company in the late hours of the night or a on a major holiday. For that reason, our offices remain open 24 hours a day, every day of the year. When you need answers about your move, a live representative will be here to speak with you on the phone. A&A Moving Company has been serving the greater Los Angeles area and surrounding areas for more than 10 years, and we’ve even received awards from our local community thanks to our excellent customer service. In our many years on the job, we’ve completed some challenging moves and learned a number of tips and tricks to make the process easier. You can trust in our expert team to help you with your move. Hiring a moving company Rancho Palos Verdes shouldn’t cost you an arm and a leg. You’ll have plenty of other expenses to handle as you get settled, so let us provide you with moving services at a price you can afford. When you move with us, you’ll never have to worry about surprise fees showing up on your bill. To receive a free quote, please contact A&A Moving Company today at 800-349-5000. City of RPV 30940 Hawthorne Blvd.